It is true that the whole world is yet to know that Orissa is the birthplace of Lord Buddha. This is due to error in history. 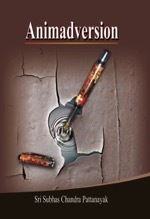 Errors in history are not unnatural. Because, history deals with the past and depends mostly on speculations. Interpretation of materials depicting events of the past always differ from person to person on the basis of individual perception. So, we find, events are projected, sometimes, differently by different historians. And, in this manner, individual prejudices have also affected history. In course of our discussion we may dwell on a few samples. However, historians admit that there are a lot of voids in history about Orissa. This injury is done to Orissa, because the writers of modern history of India were somewhat prejudiced against the Oriya race. To understand this phenomenon, one is to go into the days of British endeavor to build up its empire in India. Taking advantage of acute internal rivalry and enmity that persons in local power in India were constantly engaged in, it was acquiring estates after estates by using treachery and military,. Yet Orissa was the last land to be annexed by the British. But she was also the first land to have revolted against the foreigners to retrieve her freedom. British historian G. Toynbee has frankly admitted, “It was not long, however, before we had to encounter a storm which burst with so sudden furry as to threaten our expulsion, if not from the whole of Orissa, at least from the territory of Khurda” (O.H.R.J.Vol.No. 1 & 2). Despite having killed Jayee Rajguru in the first phase of this revolution (1804), the British had to admit its defeat in the second phase of the insurrection. In his Report to Commissioner Robert Ker, Joint Magistrate W.Forrester had clearly mentioned on 9 September 1818, “Since the breaking out of the insurrection very few men of any consequence have ever been apprehended and it is to be feared that the nature of the country and disposition of the inhabitants will always present formidable obstacles to the suppression of these disturbances either by military or by police” (Para 18 of the Report). Thus the British had admitted practical defeat in 1818 in the battle of freedom that the Oriyas had raised. But as we see, it bagged a tactical victory by proposing and executing a truce with the supreme leader of Orissa insurgence – Buxi Jagabandhu Bidyadhar, which granted the British a legitimacy as the Government. 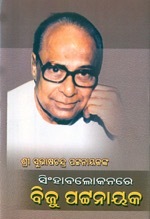 Once recognized as the government, it proceeded to divide the Oriya territory into four parts and in the name of administrative advantage, merged the fragmented parts into neighboring rival regions where the Oriyas were instantly reduced to linguistic minorities and lost their collective mana and suffered irreparable loss of land and properties. The non-Oriyas, preferred as they had to act as the servants of the British, were helped by the aliens to loot the properties of the Oriyas. To facilitate this loot, the British had obliterated Oriya as the official language in Oriya speaking areas and had enforced Bengali, Hindi and Telugu as official language in the Oriya territories merged respectively in the provinces of these tongues. But the Oriyas did not tolerate this mischief and ultimately built up the first ever movement in the whole of India for resurrection of their motherland on the basis of their language. The movement was so emphatic that Sir Andrew Fraser, who till retirement was the lieutenant governor of Bengal, took up a thorough study of the scenario and recommended to the British Government to transform the Oriya speaking tracks in their entirety into a single compact division or province with Oriya as its official language. His recommendation was turned down by the British Government on the ground that the Oriyas were so fearless and proud that they cannot be controlled if united again. This made the people of Orissa more resolute on their demand for recreation of Orissa. Objection to recreation of Orissa was not coming from only the British, but also the leaders (then of the Congress) from the provinces whereinto parts of Orissa were annexed, had been opposing the Oriya movement. In trying to prevail upon those leaders to support Orissa, Gandhiji had said, “This fine race cannot possibly make the natural advance which is its due, if it is split up into four divisions for no sound reason” (Young India, 18 February 1920). To Gandhiji, the Oriya movement had raised “the large question of redistribution on linguistic basis” (Ibid). And, ultimately, the British had to accept the Oriya demand and majority of the Oriya speaking tracks were resurrected into the modern Orissa. But in this battle for resurrection, Orissa had to suffer many dastardly attacks on her language and heritage. When the Oriyas were battling for creation of Orissa State on the basis of their language, the regional chauvinists in the Bengali, Hindi and Telugu speaking provinces, to which fragmented Orissa was tail-tied, were airing arguments that their respective mother-tongues were better than Oriya for use as official language and this mischief was most vociferous in Bengal where Rajendralal Mitra and his co-chauvinists had crossed all limits of sanity in saying that Oriya was not a separate language but a part of their own. This tussle over language had led to Linguistic Survey of India concentrate on a comparison between Oriya on the one hand and Bengali, Hindi as well as Telugu on the other hand. It concluded, “The Oriya language can boast of a rich vocabulary in which respect neither Bengali nor Hindi nor Telugu can vie with it” (Linguistic Survey of India, Volume IV). Notwithstanding mawkish chauvinism of Mitra and his associates notoriously nurturing anti-Oriya stances, serious scholars of Bengal were trying to find out the truth. The truth expressed by famous linguist Suniti Kumar Chatterjee showed how sophomoric and superfluous was Mitra. Chatterjee made a comparative study of the mother-tongues of the three neighboring peoples lying in a compact stretch: the Oriya, the Bengali and the Assamese and on the basis of his research said, “ it may be said without travesty of linguistic truth that Oriya is the eldest of the three sisters (Oriya, Bengali and Assamese), when we consider the archaic character of the language” (I.H.Q, Volume XXIII, 1947, P.337). So, on the basis of documents discussed above it can be said that the language of Orissa is a superb language with archaic properties and is superior to other major languages like Bengali, Assamese, Hindi and Telugu. History has not given due importance to this uniqueness of Orissa. Before evolution into the modern form, it was Pali in which Buddha had delivered his philosophy. It retains the Pali components as yet. Therefore, its archaic aspect is recognized by eminent linguists as discussed above. Thus, admittedly, when Orissa is so rich in language and literature since ancient days, there should not have been any void in history about Orissa. But there are many voids. This happened because of the two sets of scholars who wrote history of the land, either circumstantially or deliberately failed to give the correct account. The first set were the British scholars. We have seen supra from Forrester’s report to Robert Ker, how the british was afraid of the Oriya “disposition”. They were treated as Mlechha (sinner) by indigenous Oriyas. 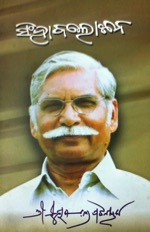 Bharat Chandra Nayak, an important officer under the British raj, has recorded his eye-witnessed experience that depicts how in 1920 a native king Banamali Tunga Chamupati Singh Mohapatra of the smallest principality of Orissa called Tigiria had refused to touch the hand of the British political agent L.E.B.Cobden-Ramsay that he had extended for a handshake, because the ‘Saheb’ was a Mlechha (Mor Purba Smruti Katha [My Memoirs] pp.129-130). When even now, despite modern education, the same Oriya mentality against the foreigners is disallowing their entry into the Jagannath temple at Puri, how stiff must have been this mentality a century ago may be easily guessed. In that circumstances, naturally, the British scholars did not dare to stay in the midst of the native Oriyas to know of the reality. They depended on hearsay away from Orissa to write about Orissa. Resultantly history was misled. As for an example, British historian Sir Willium Jones, marveled by the love lyrics of Sri Jaya Dev, wanted to know as to where this best bard of love had taken birth. He marked the distinction of the compositions. Every song was composed with a musical mode. He used this distinction to locate the land where they were in practice so that the same may lead him to Jaya Dev’s birthplace. In his classic work ‘On the Musical Modes of the Hindus’, he has noted, “Although the Sanskrit books have preserved the theory of such musical compositions, the practice of it seems almost wholly left (as the Pandits and Rajas confess in Gour and Magadha of the provinces of Bengal and Bihar). When I first read the songs of Jaya Dev, who has pre-fixed each of them, the name of the mode, in which it was anciently sung, I had hope of procuring the original music. 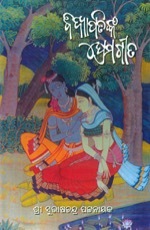 But the Pandits of the south referred me to those of the West and the Brahmins of the West would have sent me to those of the South, while they, I mean those of Nepal and Cashmir, declared that they had no ancient music, but imagined that the notes of the Gitagovinda must exist, if anywhere, in one of the Southern provinces, where Jaya Dev was born” (Asiatic Researches  Vol.III, pp.83-84). This means, Jones researched in Bengal and Bihar and in the entire Northern India spanning from Nepal to Kashmir to trace out Jayadev’s birthplace through the special instrument of musical modes used by Sri Jaya Dev in his compositions, but that was not traceable in Northern India, specifically in Bengal and Bihar. He then proceeds to say, “Jaya Dev, who flourished, it is said, before Kalidas, was born, as he tells himself in Kenduli, which many believe to be in Kalinga” (Ibid). This means, many in the North India, specifically in Bengal and Bihar, were of the belief that Jaya Dev was born in Kenduli of Kalinga, which is Orissa. Yet he misled the history by saying, “since there is a town of similar name in Burdwan, the natives of it insist that the finest lyrical poet of India was their countryman and celebrate in honor of him an annual jubilee, passing a whole night in representing his drama and in singing his beautiful songs” (Ibid). He did not try to know if the claim was fictitious and fabricated. In fact, the so-called Jaydev-Kenduli has no connection with Kenduvilwa, the birthplace of Jaya Dev. Eminent Bengali scholar Dr. Asutosh Bhattacharjee has unambiguously revealed in the popular Bengali Journal ‘Jugavani’ in June 1969 that the so-called annual fair at Kenduli is not at all held to celebrate Jaya Dev’s birth in that place. It is a Baul festival and it has no relationship with Jaya Dev’s birth”. In ‘Bangla Sahityer Itihas (History of Bengali Literature), another famous scholar of Bengal Dr. Sukumar Sen has said that the fair named after Jaya Dev has no relationship with the poet known as the author of Gita Govinda. 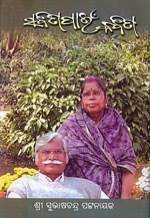 There was no village called Kenduli on river Ajaya in Burdhwan. The word Kenduli is just a synonym of Mela (fair) in local parlance and hence the claim that Jay Dev was born in the village called Kenduli on river Ajaya is absolutely baseless”. According to a report published by Asiatic Society in 1925 the river Ajaya had changed her fluvial path seven times within a span of three years. This being the nature of the river, it is impossible to accept that Kenduli on the bank of Ajay has stayed intact for more than 800 years. The propaganda that King Laxman Sen was having a great council of matchless poets like Vikramaditya where Jay Dev was a court poet appears to be a product of imagination inasmuch as ‘Kula Darpana’ authored in Bengali by Tribhuban Mohan Senbarma, mentions it clearly that Laxman Sen had a very insignificant life as a king. He became king in ripe old age and had soon to escape into Kasi being dethroned by Vaktiar Khilij in 1200 AD, where, till he breathed his last, he had to stay under shelter of its king. So, it was never possible for him to have Jay Dev of Orissa as his court poet. Had Jones not depended on hearsay in Bengal and had he gone to Orissa in search of the truth, he could have got yeomen proof of Orissa being the birthplace of Jaya Dev and the world could not have been misled for a few decades on the great poet’s birthplace. 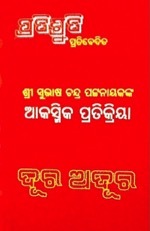 When some British Historians stayed away from Orissa because of their fear for the Oriya “disposition” and depending on versions of Orissa’s adversaries, misled history about Orissa, certain regional chauvinists of India posing as historians also misled history suppressing Orissa’s glorious cultural contributions as well as uniqueness. For an example, R.L.Mitra, who had tried to convince the British that Oriya was not a separate language, willfully misled history by suppressing the Oriya origin of Chaurashi Siddacharyas and claiming their works for Bengal. The same mistake of history is marked on birthplace of Buddha. 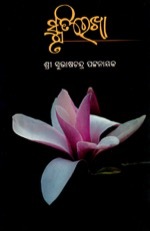 Chakradhar Mohapatra has most ably pointed out this mistake in his unchallenged work: The Real Birthplace of Buddha, which is being supplemented by orissamatters.com. In ‘Ancient Geography of India’ Cunningham has admitted that the Tarai inscription of Asoka, basing on which it was imagined that Nepal was the birthplace of Buddha, was discovered from a place, which was neither Kapilavastu nor had any history of relationship with the sage Kapila. On the other hand, according to historian Dr. Smith, it was never known as Rumindei; archaeologist Fuhrer had forged the name (The Real Birthplace of Buddha, p.V). Nepal was not even known as a Buddhist place. Rev. J. Long had queried in Nepal – by his time known as birthplace of Buddha – and in Ceylone and China, known as they were for practice of Buddhism, about where Buddhism had really had its root. 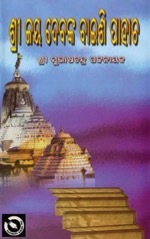 He has noted, “Antiquarian enquiries in Nepal, Cylone and Chaina show that the Buddhism, so noted in its regard for enlightening the masses and opposing caste, was for ages predominant all through Orissa both among rulers and the people, though Orissa be now the garden of the Hinduism and Jagannath its Jerusalem. Even Jagannath itself stands on the site of a Buddhist temple and contained the celebrated tooth of Buddha, which was kept there till the 4th century AD, when it was carried for a short period to Patna, the ancient Palibothra then the capital of north India. It was soon after brought back to Puri. But on an invasion of the country, it was conveyed in AD 311 by a king’s daughter concealed in her hair to Ceylone, which was then becoming a place of refuge to the Buddhists from the Brahmins’ rage” (Journal of the Asiatic Society of Bengal, 1859, No.III, Vol.XXVIIII,pp.185-87). Indrabhuti, Chief of Udra (Orissa), the celebrated founder of Vajrayan school of Buddhism had conceived Buddha as Jagannatha and had delivered Gnanasiddhi propitiating Guru Buddha in this form. And, ancient Oriya literature is full of prayers to Buddha in form of Jagannatha. Innumerable proofs are there in support of Buddha’s birth in Orissa. Yet, the world is yet to know that Buddha was born in Orissa. As Buddha had rushed from his birthplace Kapilavastu of Orissa near Bhubaneswar to Magadha to stop its empire building that was threatening the existence of tribal democracies and succeeded in his mission by organizing the north Indian tribes, Vajjians for example, against the imperial design, to the tribes of Orissa he was the God; because he had preempted imperial attack on them by his action at Rajgriha. Indrabhuti borrowed this concept from the tribes and officially consecrated Buddha as God Jagannatha. To avenge the defeat Buddha had tactically given to Magadha’s empire building, Asoka, the wicked of Magadha, had invaded Orissa and tried to desecrate the birthplace of Buddha. The tribes of Orissa resisted the wicked Asoka at the foot of the Dhauli hill on river Daya and displayed incomparable quality of sacrifice for protecting the birthplace of Buddha. Asoka was forced to accept Buddhism as his creed, to destroy which he had invaded Orissa. Suppressing this truth, history has given the wrong picture that blood flow in Kalinga war under the Dhauli hills changed the heart of Asoka and he accepted Buddhism and spread it across the oceans. In fact, Asoka had never truly accepted Buddhism. He had tactically accepted it to go back with life from Orissa. He was a wicked man all through his life who had never set free the Oriyas he had taken into custody and transported to Magadha before reaching the Dauli Hills and had tortured them to death which indicates that his heart was never changed. He was a hypocrite who acted patron to the Buddhists but contributed to obliteration of Buddhism by projecting himself as ‘Devanam piya’ (Beloved of the God). Once, the concept of God was accepted as such by the Buddhists who had accepted Asoka as a promoter of Buddhism, the basic principle of Buddhism was compromised with. Asoka destroyed the uniqueness of Buddhism by bringing in theism to the atheist philosophy exactly as Mikhail Gorbachev destroyed USSR by steering his country into free market mechanism through perestroika which tampered with the basic principle of communism. He had not dared to visit Orissa for 20 years of his rule and had visited the birthplace of Buddha at Kapilavastu, known now as Kapileswar near Bhubaneswar wherefrom a pillar inscription depicting his visit to Buddha’s birthplace has been discovered. This inscription is conspicuous by the signature of the writer inscribed therein. Asoka must have paid this visit to the real birthplace of Buddha as a part of his tactics to convince the Buddhists that he was really devoted to Buddha. But his motive against Buddha is clear from the fact that he had erected another pillar in the Tarai region to project another place as Buddha’s birthplace. Canonical instructions are clear that every Buddhist should visit at least for once in his life the birthplace of Lord Buddha. In order to confuse the Buddhists as regards the real birthplace of the Lord, this evil design of indication of another place as his birthplace through the Tarai inscription was executed. It was a sort of desecration of Buddha’s real birthplace that Asoka the wicked had tried to do by attacking Kalinga. This second pillar, discovered before the Orissa pillar attracted modern attention, has misled history about the real birthplace of Buddha. History should have told this truth to the world, but has failed to do so.